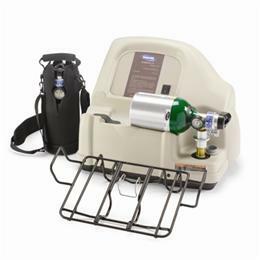 The Invacare HomeFill II complete home oxygen system defines ambulatory oxygen by allowing patients to fill their own high-pressure cylinders from a concentrator at home. 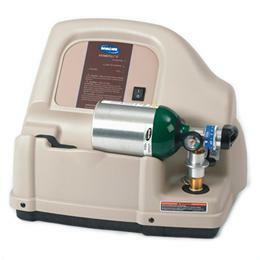 The multi-stage pump simply and safely compresses oxygen from an HomeFill compatible 5- or 10-liter concentrator into ML6 oxygen cylinders, filling the tank in just 75 minutes. 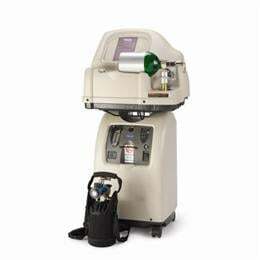 The ability to fill their own cylinders gives ambulatory patients greater independence and freedom. 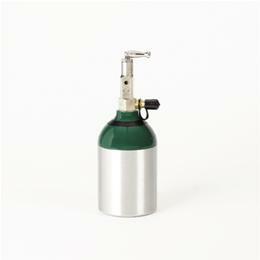 Home care oxygen providers will also benefit from the virtual elimination of time-consuming and costly service calls associated with cylinder and/or liquid oxygen. The HomeFill II is ideal for the Perfecto 2 concentrator, but different racks make it compatible with most other concentrators as well. The Patient Convenience Pack available for the HomeFill II uses the latest integrated pneumatic conserving technology while remaining lightweight. The cylinder combines all the patient independence and provider cost savings realized with the HomeFill II delivery model plus care-free convenience and simplicity. Average cylinder filling time (ML6 tank): 1 hr. 25 min.